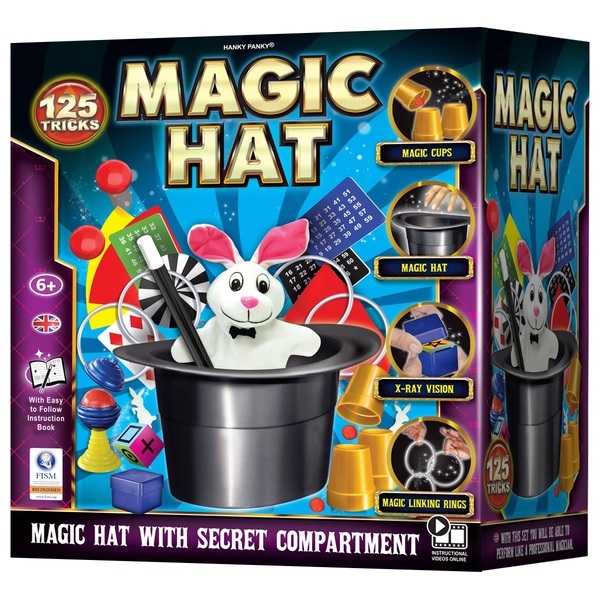 This Magic Hat Magic Set is full of easy Magic for young kids to practice. Step by Step instruction book and instructional videos online help you master your magician powers. With this set you can show an empty top hat and then via the secret compartment make a rabbit appear and disappear. This unique set includes props for all aspects of magic. Classic tricks like cups and balls and linking rings can be learnt with ease. Really easy rope tricks and the famous ball and vase tricks are made simple and easy to do. You can even appear to read minds.